Make travel better with the Arona Hardside Spinner Luggage. 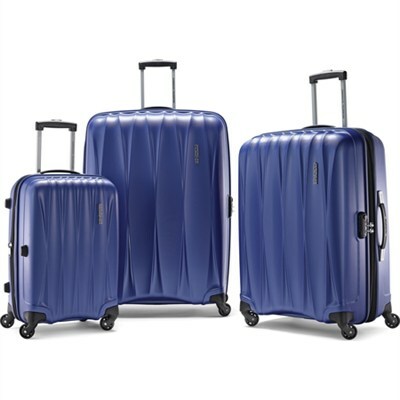 Four multidirectional wheels let you move and pivot with ease while a 100% Polycarbonate shells protect your luggage and contents. Included is a Manufacturer's 10-year limited warranty. 4 Multidirectional wheels let you move and pivot with ease. 100% Polycarbonate shells protect your luggage and contents. Top and side carry handles make lifting and carrying easy. Scratch-resistant texture keeps luggage looking new. Self-mending zippers feature case-expansion for added capacity when needed. Integrated three-digit TSA lock for peace of mind. 20" Spinner - 19.75" x 13.5" x 9.5"
25" Spinner - 25" x 19" x 11.5"
29" Spinner - 29" x 21" x 12.5"
20" Spinner - 6.5 lbs. 25" Spinner - 7.8 lbs. 29" Spinner - 10.75 lbs.